Respite Services is a unique short term program offered to clients of the Children’s Treatment Centre with complex developmental needs. The program provides assistance to families whose respite needs exceed the family’s available community supports. The Children’s Treatment Centre’s respite program is an in-home service provided to families caring for a child with special needs. Sibling care may also be provided if desired. 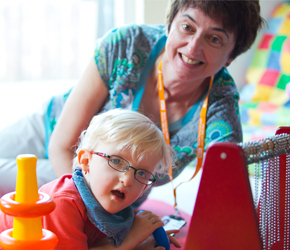 A qualified respite provider is matched with a family to meet their respite needs. The program is intended for parents to experience care-giver relief by spending time taking care of their own personal needs, visiting with friends and/or spending quality time with their other children or significant other. For more information or to make a referral to the program, contact the Respite Coordinator at (519) 354-0520.